Backyard Greenhouses is pleased to announce our Summer Savings Special from June 14th until July 15th, 2010. We are reducing the retail price of all of our greenhouses and lean-to's priced over $2,500.00. See the discounts tabled below. 1-800-665-2124 or email shelley@ecolad.com for your free quote today. Many people wonder what temperatures their greenhouses should be kept at. Below is a general temperature guide. 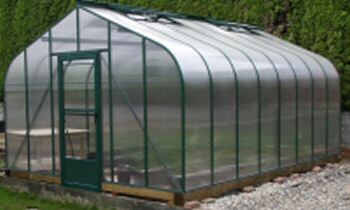 Keeping a Cold Greenhouse - The minimum temperature that can be kept in the greenhouse is 28 degrees F. Plants are still protected from weather elements and growth is about 3 to 4 weeks ahead of outdoor plants (provided they can grow at this temperature). However, no growth will occur in the winter, and this is unsuitable for plants that are frost sensitive. 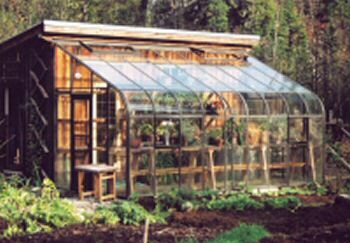 Keeping a Cool Greenhouse - The minimum temperature kept inside the greenhouse is 45 degrees F. Plants are protected from outdoor elements and the minimum temperature is high enough to support plant growth. It also allows frost-sensitive plants to be over-wintered. Keeping a Warm Greenhouse - The minimum temperature required inside the greenhouse is 55 degrees F. This is the most popular climate kept because a wide range of plants can be grown during the winter months. Many exotic fruits and plants can also be planted. The greenhouse will obviously cost more to heat than a cool greenhouse. Keeping a Stove (Hot) House - The minimum temperature required is 65 degrees F. This is advisable if you are growing tropical plants only that require higher temperatures at all times.